This writing box in the shape of an old-fashioned school desk stands on nine feet and has two drawers and three holes in which small pots can be placed. Its decoration of Chinese dancers conveys the light-hearted and insouciant atmosphere that was thought to pervade China at the time. 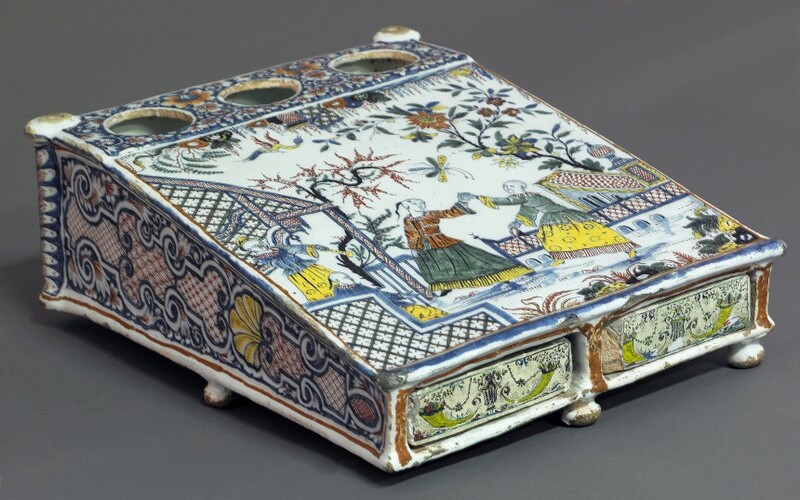 Painted with a light and careful touch, the decoration covers the entire surface of the box. On the sides, classic embroidery motifs and large baluster vases in red and blue suggest it was completed at an early date.